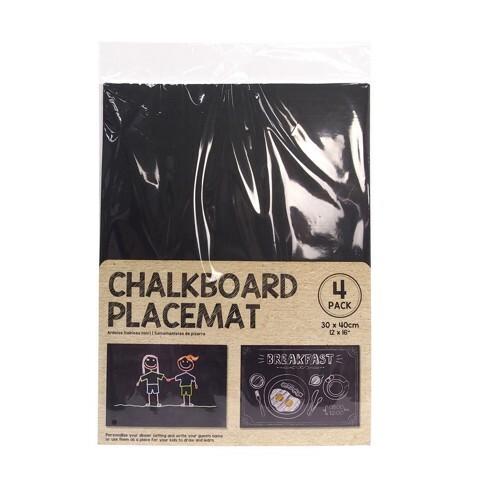 Chalkboard Placemats 4Pk. 40 x 30cm. Black. PP . 260g Packaging: Hang Sell OPP Bag with Insert Card.